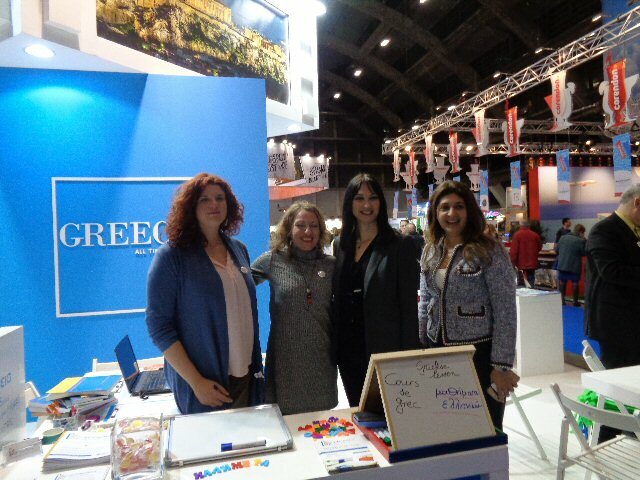 Today's surprise was a visit to our Expo by the Minister of Tourism, Ms E. Kountoura, who got really excited to see FILOMATHIA-Greek Language Centre among the Greek exhibitors! 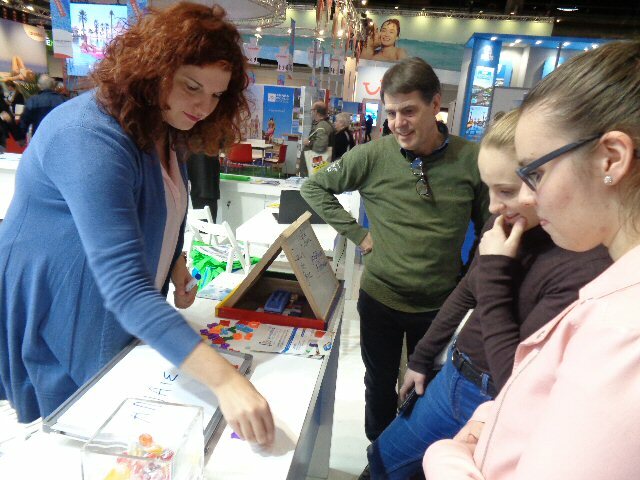 The picture taken shows exactly how unexpected the visit to our Filomathia's stand was (expressions of wonder on the faces of both Eirini and Eva from Filomathia, then the Minister standing proud and then the Director of the National Greek Tourism Organisation in Brussels, Ms E. Skarveli, full of joy! Today, also, was INTERACTION day with the Greek language! 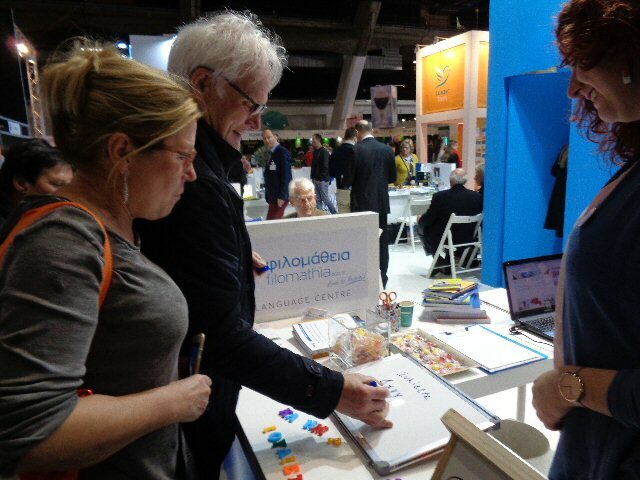 Lots of visitors were interested in writing their own names in Greek on a whiteboard, playing with the Greek alphabet and speaking their very first Greek words! 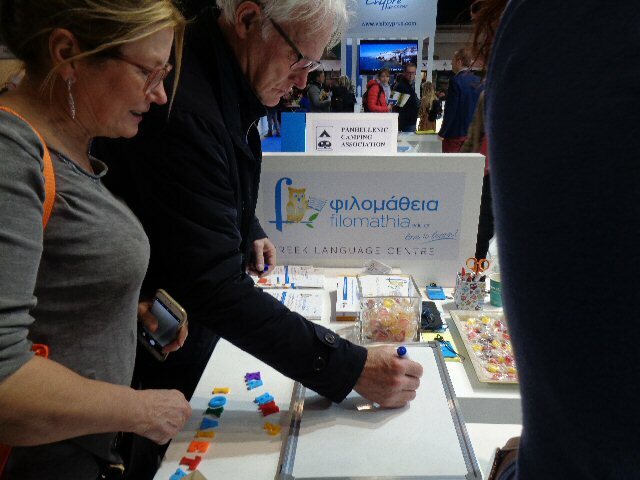 There were also visitors who already spoke Greek well enough and have travelled to Greece many times, thus, their interest in our work and the location of our school in Crete was profound! 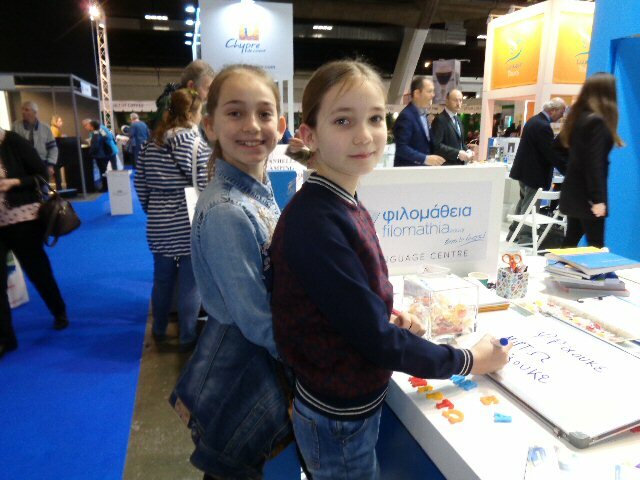 We could say that today A LOT of Greek was heard in the Salon des Vacances Expo!! Until tomorrow!